Kathmandu, Sept 14: The CPN -Revolutionary Maoist led by Mohan Baidya has formed a separate morcha of the party to take part in election. 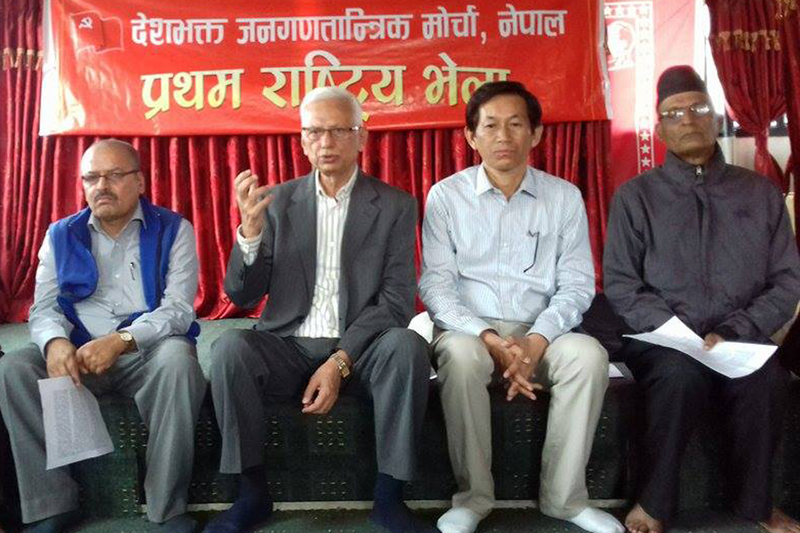 The Deshbhakta Janaganatantrik Morcha was formed under chairmanship of party senior leader CP Gajurel where Pari Thapa is Secretary. Kamal Chaudhary, KB Gurung, Pawanman Shrestha, Shreenath Adhikari, Nagendra Rai and Kes Bahadur Pariyar are also office-bearers of the Morcha.